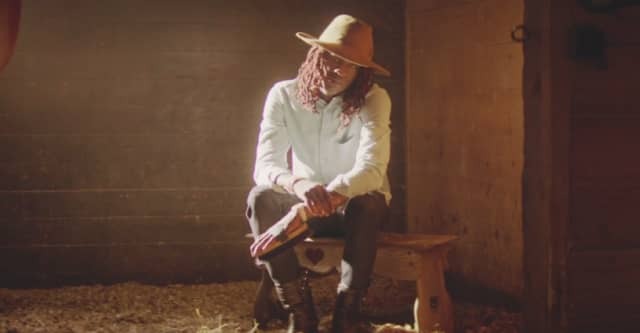 Young Thug has shared a new video for "Family Don't Matter," his country-inflected track from Beautiful Thugger Girls. In Swinsky-directed video, Thug visits the stables, rides horses, and poses amongst the hay in an exquisite crochet sweater. Beautiful Thugger Girls was released in June. The Atlanta rapper collaborated with DJ Carnage on the Young Martha EP in September. Watch the video for "Family Don't Matter" above.